PRESERVING IDAHO'S HISTORY, ONE BARN AT A TIME! The mission of the Idaho Heritage Barns Register is to recognize Idahoʼs agricultural heritage and document Idahoʼs barns and agricultural buildings. Historic barns are ever-present visual reminders of the importance of agriculture in our stateʼs history and economy. They stand on the landscape as a testament to the Idaho ideals of hard work, productivity, and connection to the land. The core of the Barns Register is to voluntarily document and preserve information about these agricultural buildings, throughout Idaho. Land use development and the deterioration through time of many unused barns increases the importance of this task. A protocol and form for use statewide ensures consistent and complete information will be documented, resulting in a statewide Idaho Heritage Barns Register. Please help us voluntarily document and preserve information about barns and agricultural buildings throughout Idaho. You can help by filling out and submitting our form to add your barn to the registry. We accept all submissions, anywhere in the state of Idaho. Click on a county listed below to see barns that we have worked on thus far. If a barn is not listed in the area of your interest, please fill out an Idaho Barn Register form or contact us. In a special reporting project published in the Times-News on Nov. 15 and Nov. 22, 2015, reporter Mychel Matthews drew on that emotional element to bring awareness and appreciation to a variety of old dairy and livestock barns in the Magic Valley. Exhaustively researched and written in a lively, engaging style, Matthews’ special report drew wide readership across Idaho, and throughout the community it sparked new interest in these threatened structures. 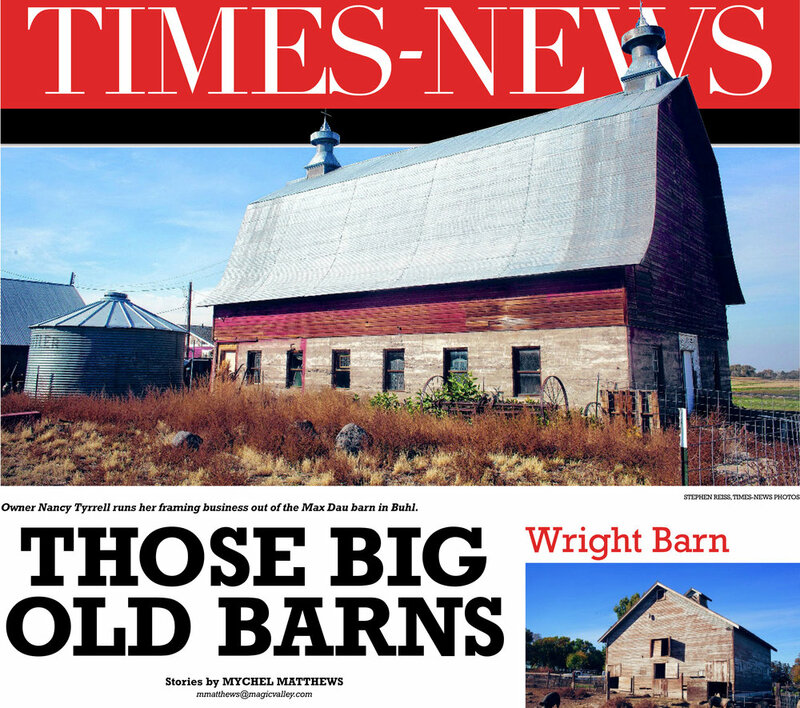 In southeastern Idaho, barns are a mainstay of the landscape. Their stark outlines rise from surrounding fields; even those that are beginning to lean or that have fallen tell of a way of life not very familiar to most Americans today.